What Makes a Great (Native or Non-Native Speaking) English Teacher? Chad is an American in his early twenties. He completed a Bachelor’s degree in Psychology, but didn’t know what to do with his life after graduation. He got average grades in college, is reasonably smart, but lacks marketable skills. His choices after graduation are entry-level positions at a few local companies, but he doesn’t want to sit at a desk all day. Eventually, Chad hears about a friend who’s working as an English teacher in Japan. According to this friend, the salary is good, the women are beautiful, and the job is easy. “Do you need teaching experience to get a job like that?” Chad asks his friend. Chad is eventually hired in a similar school in Japan. He begins teaching classes. He is called “teacher.” He comes up with creative ideas for how to teach his classes, and the students seem to enjoy them. Chad tells the students that, “learning English is like learning to play music. If you work hard, you can do it.” Chad, however, cannot speak any language other than English. Another teacher in Japan is named Sakiko. She recently returned from the United States after completing her Masters in English education. Before starting her Master’s, Sakiko had already studied for one year in the United States as part of her undergraduate studies, and worked as an English teacher in a night school for two years after graduating. While in her Master’s program, Sakiko taught English classes to international students at her university. Sakiko got excellent grades in her graduate and undergraduate programs, and her TOEFL and TOEIC scores are almost perfect. After returning to Japan, Sakiko took a job at the same English school where Chad works. They receive the same salary. There seems to be something problematic about Chad and Sakiko being treated as equally competent English teachers. Chad has no background in education or teaching, and has never successfully learned a second language. Thus, his opinions about language learning and Sakiko’s opinions about language learning cannot be treated as equally valid? This is a situation that many native and non-native English teachers find themselves in. A native speaker with no background or teaching experience is hired to teach English precisely because he or she is a native speaker. At the same time, non-native speakers of English who have worked very hard to develop their English skills are hired into similar positions. This can create a subtle level of tension at work. For example, Sakiko develops her lessons carefully based on sound educational practice, and her experiences learning English herself. Chad is more creative, spends much less time planning his lessons, and bases what he teaches on what he thinks language is. Many students in the school recognize and appreciate the work that Sakiko puts into her lessons, yet they also feel obligated to attend Chad’s classes because he’s a native speaker of English, and many students believe that learning English from a native speaker is the best way to study. Yet, Chad also faces a number of challenges. When we think about language education in a given country, what exactly should the role of native-speaking teachers be? What about the role of non-native teachers? Should there be a difference at all? I was at a conference recently in Japan. We had taken a break for lunch, and had gone to the cafeteria to eat. As I waited in line for my food, I noticed that another foreign English teacher, a native speaker of English, was screaming at the cashier and one of the restaurant managers in English. Clearly he could not speak any Japanese, and this surprised me. I recognized him as a long-term resident of Japan, and a fixture at local conferences. Because he teaches at a college, he must have at least a Master’s degree, which means that he must have had some exposure to second language acquisition theory, along with teacher training. Yet, should he be taken seriously as a language educator in Japan when he has not bothered to learn his student’s language? Does theoretical knowledge about language acquisition supersede the practical experience of actually studying a second language? What about someone who speaks many languages, but has no training in language education or language acquisition theory? Are they more or less qualified than this man, who potentially speaks no second language, but is a contributing member to the “field” of language teaching? I have many native speaking colleagues teaching English in countries all over the world. Many feel frustrated because few people seem to appreciate their ideas at work. These colleagues have largely embraced the somewhat romantic idea of the “traveling English teacher,” and are trying to build careers moving from one country to the next. It’s a nice idea, which many people do eventually make into a reality for themselves. Yet, if someone isn’t willing to stay long enough to invest themselves in one country’s future, should they really expect to have a say in how that country’s education works? What about people like Chad? He was hired because he’s a native speaker of English. This means that he was not hired because of any skills that make him individually valuable to the school. Another way of saying this is that he was hired to be a “professional foreigner,’ and as a consequence, he can easily be replaced by another foreigner. His “foreignness” and his “native-speaker-ness” are symbolic of the purpose behind his job, and this makes him a prop, not a professional. Is he being exploited? And Sakiko? She’s obviously invested a great deal of herself into the English teaching field. Shouldn’t her compensation, at least, be different from Chad’s? What does it mean to be an English teaching professional? Is it the ability to speak English? The ability to teach English? The professional credentials attendant to both? Or a combination of tangible and intangible elements—like the ability to speak English coupled with the ability to think creatively and connect with people from different cultures? But I know one thing: if I were Sakiko, I’d be pretty angry. Having no teaching degree or child development courses and no qualifications outside a bachelors degree in journalism, I taught 5 years in Korea and became one of 2 head teachers at a preschool. I then moved to Budapest, Hungary to teach first grade. 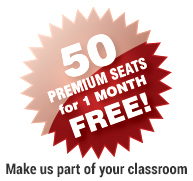 I was shocked to see certified American teachers fresh out of college call in sick constantly, get burnt out and then decide teaching was a job “for now.” While talking about it in the teachers’ office a fellow Hungarian teacher said “It is never enough to be certified and have all the knowledge. You know it in your heart. You are either born to teach or it isn’t for you.” That sums up my experience teaching. Not just in Hungary but also in Korea. Sometimes certified well educated teachers lack enough experience to know if this is what they actually want to do with their lived. Or they find out you also have to be a performer and “on” a certain amount of hours everyday and that doesn’t make them feel comfortable. Regardless of my natural abilities and years of experience, sorry, but I won’t be spending $28,000 on a masters/teaching certificate in the state of California any time soon. That said, I don’t judge anyone’s situation or feel envious of someone’s salary package, number of days they actually have to be at work (I’m looking at you college profs.) or whether someone is able (or wants) to learn another language. Everyone is on their own journey. Be appreciative of what you have and don’t let it bother you if someone else is experiencing life different from you. There is no wrong way to do this thing called life. There is no crime being commited or abuse taking place. For the American, he is getting paid to be in a foreign country where he will miss his family, friends, food and be thrown into cultural shock which many first time native teachers don’t adjust to and end up quitting. Saikiko, on the other hand, has the home advantage. Being fluent in at least two languages and well educated means an easier time for Saikiko. Plus she, sadly, is easier to replace as her job takes NO VISA paperwork. No need to supply housing or get her settled with a bank account. No need for a culture orientation. While the only thing a native offers is being a native English speaker, they are a pain to replace. So it is worth it to schools to pay the higher salary to encourage a foreigner to finish their contract and perhaps retain them a second year. I wonder how many teachers with no qualifications and experience ‘call in sick constantly, get burnt out and then decide teaching was a job “for now.”’ Of course, in every profession there is a certain number of people who are simply born for the job. That said, I don’t know of any other profession where people can easily get jobs without any relevant qualifications or experience. While we may argue forever about the benefits, or lack thereof, of the ELT qualifications and degrees, we shouldn’t forget that the only people that can actually get hired without them are NS. Surely, though, we’re not going to argue that NS are blessed with innate talent for teaching and so should be allowed to teach without qualifications. Regarding the second part of your comment, you said “For the American, he is getting paid to be in a foreign country where he will miss his family, friends, food and be thrown into cultural shock which many first time native teachers don’t adjust to and end up quitting.” I wonder if Saikiko would get paid extra for teaching English outside Japan. I never did for teaching outside Poland, and have taught English in 6 different countries. Again, the point I am making is that there is a profound imbalance in ELT and a clear favouritism towards NS. And I find it quite shocking that we are still going into great lengths to find excuses for it. Great post James. Very thought-provoking. It illustrates very well how skewed ELT hiring policies have become over the years. Sorry, but it’s simple supply and demand economics, something many “real teachers” seem to know little about. If there were surpluses of foreigners in places like Japan, maybe Chad would get paid the same as Sakiko. However, the reality is that foreigners are harder to come by and if you want someone to live across the world, you need to pay a little more. Moreover, just because Sakiko is almost certainly superior in terms of pure language instruction, Chad still has intangible value. Schools want to provide a cultural experience and get students to learn in a different way. It’s also better for practice if students don’t have the option to speak their native language. Furthermore, Chad still has a degree in Psychology and has likely learned a lot of useful things in his liberal arts education. He may have a wealth of knowledge he can pass on, especially to high level students, making him good for speaking practice. Let’s be honest, many who just study language don’t have as many interesting things to talk about. So, it’s not just about raw English instruction. The school which pays Chad and decides his worth knows it, the students know it, and Sakiko should know it. If you’re concerned about salary, you shouldn’t worry about what other people are making. You should have rather spent all that time and money studying something other than teaching. Perhaps these “real teachers” should take some time out of their grammar lessons to learn some simple economics. And yes, Sakiko would get paid more for teaching outside of Japan, if there was widespread demand for Japanese teachers throughout the world. But the reality is that there is not. Jealousy and bitterness are an ugly human traits. If supply and demand was so powerful, Sakkiko would get paid a lot when teaching outside Japan, for example in the UK. Presumably more than a Brit, because Brits are easy to come by in the UK. However, if you’ve ever worked in a language school or university in Britain, you’ll know that teachers get paid on merit, not their passport. Second, demand is not just ruled by supply. Advertising is an important influence, for example. And for a long time schools have told students that the only a NS can teach them ‘real’ English, whatever that is supposed to mean. Finally, free market doesn’t exist. There are always certain rules in place, usually set by the government, sometimes in response to social movements. A couple of decades ago there were hardly any female engineers, for example. You could have put it down to supply and demand, or claimed that men were simply better at engineering. Obviously, this wasn’t the case. Regarding your last comment, teachers are not entertainers or stand up comedians. The most interesting and fun teacher can actually be useless. Having many interesting things to say doesn’t make you a good teacher, but it can certainly increase your teacher talking time. There are also plenty of interesting discussion topics in course books, supplementary materials for teachers, the Internet. And the fact that you studied something else, well how do you know students want to hear about psychology? Or engineering? Perhaps they find it incredibly boring. You’ll have to always bring in a variety of discussion topics to class, some that you know a lot about and you find interesting, and some that you don’t. Anecdotally, some of he worst English teachers I’ve come across have been teachers with formal qualifications in education and teachers whose Japanese was fairly advanced. Some of the companies who hire native speakers almost market the job like it’s a working vacation. Being a foreigner in Japan is often more expensive than being a local. Foreigners don’t enjoy the same rights, and have to deal with a lot of micro-stresses that locals don’t. Maybe all of that is worth some compensation. I mostly teach business English, and many (if not most) of my students are engineers. I have formal business qualifications* and many years experience working in the money market, construction and engineering related industries. *Studying business also underlined for me that a lot of what is taught at university is crap. Speaking to people with formal degrees in education and perusing academic papers on the subject in has done nothing to change my opinion in this regard. I made a conscientious effort to get better at teaching English and I study Japanese when I have time. My Japanese is still embarrassingly bad considering how long I’ve been here. The only reason I would admonish anyone in Japan with English is because I have been ignored in Japanese… and the only people I have ever felt the need to admonish were officious bureaucrats. When you start using English these folks can’t get you out the door fast enough and suddenly become a lot more amenable. It is not the case of English teaching where native speakers are hired. There are hundreds of international schools where the criterion is – you should hold the passport of UK, USA, Canada, Australia, New Zealand or South Africa to get hired. Educators are employed on the basis of passport, not their teaching abilities and experiences. Take my case. I am an English and Science teacher with 19 years of teaching experience. I have taught ESL in Oman for two years and Science in US for three years. I have been teaching English and Science in India for 14 years. I have applied at several places for, mostly, Science positions and at times, for English positions. Most of the time, I do not get a response. Sometimes, I get a response with a very polite explanation – we are sorry to inform you that unfortunately you are not selected as our school employs only native speakers of English. Every school or college has discretion to select the candidate of its own choice. They are free to select native speakers of English. But I personally deplore that today passport or nationality has become the criterion for choosing a teacher, not his teaching abilities. If somebody wants to learn a second language the most important thing is the reason why. rules so they need a “real” teacher with teaching experience. important things from them so the not to be at a loss for words abroad. I think that this discussion is very educational. 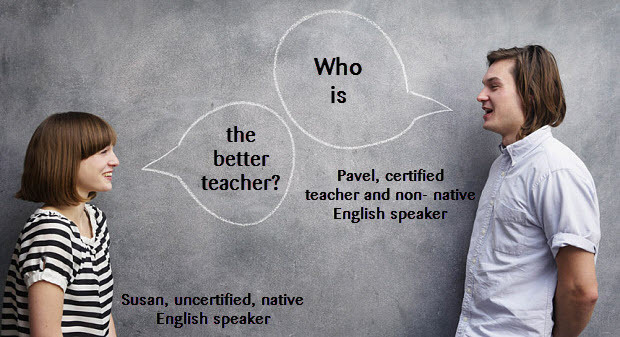 I continuously have been questioning who is a better teacher, native speaker or non-native language teacher? I have been teaching Polish as well as English for over 40 years. I believe that, generally speaking, it does not matter if you are a native or not – native speaker. The most important is to be a good creative teacher, with a competence to motivate students to learn a language. Passion for teaching, friendly attitude towards learners, love of the subject, a readiness to alter, a willingness to give, support and reflect are vital education skills. Above all, it is essential to be a lifetime learner, so to constantly look for the best ways of improving teaching methods. We should take courses to master teaching techniques. We should remember about collaboration, cooperation as well as understanding and encouraging students. Criticizing and keeping strong discipline is not advisable. A good teacher respects students, makes a sense of community, is warm, available, loving and caring, but at the same time sets high expectations for all students. The questions would be more along the lines of “What makes a good teacher?” and “Have you got it?” If you are a good teacher and are a native speaker and you have learned a second language you have many advantages. However, being a native speaker or being a qualified teacher doesn’t necessarily make you a good teacher. The only real test of a good teacher is the evidence of students learning. This was something drummed into us when we did our CELTA qualification. If you love witnessing your students learning you will go to any length to facilitate that, as long as what you are teaching is informed… what else is there? Passion goes a long way! An intriguing argument but it seems very personal. There are more types of people than the two mentioned. Chad is portrayed as little more than a dosser trying to get by till the job market improves and Sakiko the perfect teacher. I started 2 years ago as an inexperienced teacher who hadn’t studied a language for years but can easily say I am getting good results from well thought out lessons. I take pride in my job and am often offended by the view I’m a waste of space pigeonholed because of those who do it for the wrong reasons. I’ve spent time to study and gain qualifications which might not be an education masters but do bring experience to the table along with my Celta. On top of that my girlfriend is a local English teacher. As competant as me but paid less why. Because she can’t sound like a native speaker ( a very desired goal) and is in high supply. I expect yo have at least enough to live comfortably and save for expenses back home. Something she doesn’t need. This self rightious opinion gives no room for people to train up and become competent or filter out. Yes it is annoying people like Sakiko are paid less and native speakers go to countries they never expected to teach so don’t know the language and are paid more. But that’s the way it is. Interesting article. I, too, have been working as an English teacher in Spain despite my only qualification being “native speaker” (although I’ve recently moved into a field here that I’m actually qualified in… When I realised teaching wasn’t really for me!) I can’t help but feel a bit of guilt about my apparent language privilege – being a native speaker has landed me a job when 50 per cent of people my age here are unemployed, it gives me the right to charge almost double the price for private classes, and it gives me an edge in the English-demanding work force. But I didn’t actually do anything to earn it! I was just lucky enough to be born Australian. To be fair, I have learnt and now speak fluent Spanish, which strangely enough has actually given me a better understanding of my own language and how to teach it. I would certainly take a class delivered by a native speaker who isn’t a teacher, for the sake of up-dated language, pronunciation and intonation. However, being a teacher of English myself, I would only think of it as a workshop. I think a good teacher should teach from the heart. If you like it, you will get a lot from it. Whether you have a certificate or not, teaching experience is quite the matter because children’s evaluation will decide who you are. I have seen many teachers who are qualified with their certificate or graduate from thier major. However, they still can’t hold on being a English teacher for a long time. I am a Spanish native speaker, and have taught English for 26 years, I have a Bachelor’s I teaching languages with a specialty in English, and a Master’s in the Teaching of English. Additionally, I’ve done Cambridge exams FCE, CAE, CPF as well as as the TKT modules 1, 2 & 3 and many more English courses. A few weeks ago I offered my boss to get some training to teach social science and his answer was NO I will hire a French teacher to teach social science in English, this teacher has only taught forma one year. I do not understand. If I were asked to teach Spanish to foreigners, I would refuse to do it Just because I do not know the methodology. I have nothing against foreigners teacher, but I just can’t stand how unfairly English teacher are treated. This is an insightful read for ESL/EFL teachers everywhere! This is an excellent post! Thank you for the insightful read. I’ve been teaching EFL in Korea for seven years now, just about to start my eighth. I have my Bachelor’s degree as well as a TESOL cert. It’s such a pertinent debate because not only does one need training to be a teacher, but experience, too. Sometimes you can pick-up a lot on the job, but that should be secondary to a teacher training course. I’ve taught in both ESL academies as well as in an international school, and students ranging from kindergarten to adult ELLs. I consider myself a teacher though I don’t have my state qualification, but if someone else disagrees that’s fine. It has no impact on my own job or skills. In your example, Chad could be valuable for the simple fact that he doesn’t speak Japanese (or the local language of whichever country where he goes to teach English). If Chad spoke the local language fluently he would find himself constantly translating his English lessons. Furthermore, if his students were aware that he was fluent in the local language, they would ask Chad to translate whenever they didn’t understand something. The fact that he can’t speak the local language will force Chad to be more creative in his lesson plans while also maintaining an English only learning environment. I remember when I was teaching English in China, I worked with an ABC (American born Chinese) teacher. Even though English was his first language, the students were always trying to get him to translate things into Chinese for them. So I suppose in this case Chad’s ignorance actually works in the students’ favor.